Get behind the wheel of the new subcompact Land Rover Range Rover Evoque. Packed with high-end luxury accommodations and Land Rover performance at a price that won’t break the bank, the Evoque is one of the most capable SUVs. Reviews of this luxury crossover have been overwhelmingly positive and touted as a great SUV for those who enjoy being behind the wheel. The Evoque also comes in a unique convertible configuration if you enjoy driving with the top down. 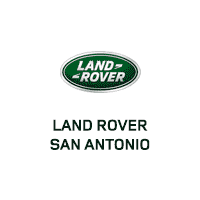 Check out our inventory below and schedule a test drive by contacting our staff at Land Rover San Antonio. Why Buy or Lease a New Range Rover Evoque? One of the highlights of the Evoque is its value. With its features you get exceptional tech, high-class materials, and performance for under $65,000. When you’re ready to experience the new Evoque for yourself, be sure to contact our dealership to schedule a test drive near Austin.